Hospitals and physicians see risk-based contracts as barely a blip on their radars, according to a new survey of 500 providers and insurers. One in five providers surveyed said they derive no revenue from risk-based contracts and 57% said such revenue accounts for less than 10% of their totals, according to the second annual State of Population Health survey by Numerof & Associates, a healthcare strategy consulting firm. Respondents expect value-based contracts, which reward or penalize providers for managing the cost and quality of care, to take hold much more slowly than they did even a year ago. 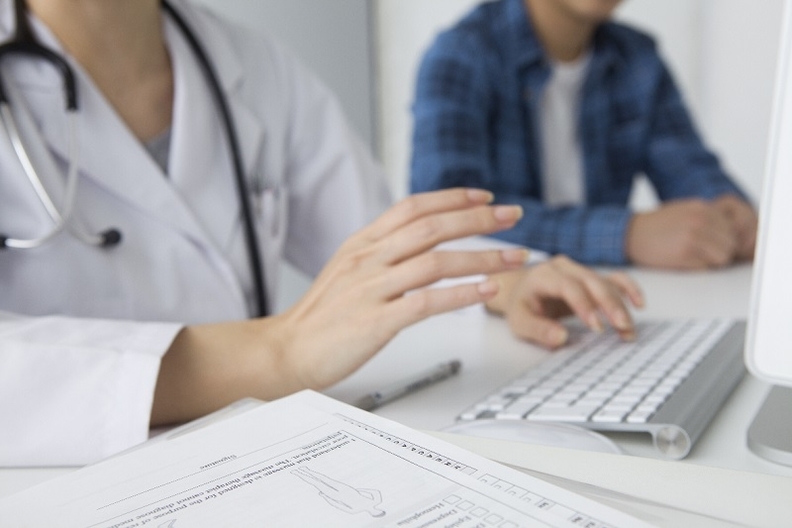 Numerof President Rita Numerof said hospitals, doctors and insurers have found it harder and more expensive to implement the software and population health-management processes necessary to successfully accept value-based care. The median respondent in last year's inaugural survey thought that risk-based contracts would comprise 41% to 60% of total revenue in two years. This year, the median respondent predicted that they would derive 21% to 40% of revenue from risk-based contracts within two years. Hospitals are either not eager to bear downside risk because they are afraid, or they cannot find health plans willing to share the data needed to negotiate contracts perceived as fair to both parties, said Len Nichols, director of the Center for Health Policy Research and Ethics at George Mason University in Fairfax, Va. Moreover, hospitals appear to have good reason to be skittish about taking on risk-based contracts, according to a survey of 142 providers last summer by KPMG. The firm found that 52% expected their value-based contracts to lead to a drop in operating profit or surplus. That's compared with 47% two years ago. And some providers think they still have time to implement value-based purchasing and are dragging their feet since fee-for-service has survived government efforts to reform payment. While both political parties agree that healthcare costs should be lowered, the current divisiveness even within the GOP's efforts to repeal and replace the Affordable Care Act, which spearheaded many valued-based efforts, is not helping the move away from fee-for-service. The good news is that there's growing provider awareness of population health management and efforts to prepare for risk contracts, the survey shows. For example, 95% of respondents rated population health as important for future success. Another 74% indicated that their organizations are operating a designated division, department or institute for population health programs, a big jump over the 2015 survey. “Population health has matured and, despite the election surprise, remains the single best strategy for our ailing system,” said Dr. David Nash, founding dean of the Jefferson College of Population Health at Thomas Jefferson University in Philadelphia, who collaborated on the survey. The Numerof survey results are consistent with other findings over the past year showing provider reluctance to take on reimbursement risk. A survey last month by KPMG found that half of 86 respondents to a webcast survey derived some or most of their reimbursement from risk-based contracts. The 2016 Modern Healthcare Hospital Systems Survey published last June found just 13 hospital systems out of 80 respondents said they derived 10% or more of their net patient revenue in 2015 from risk-based contracts. Two-thirds of the respondents estimated that risk-based contracts generated 1% to none of their net patient revenue.